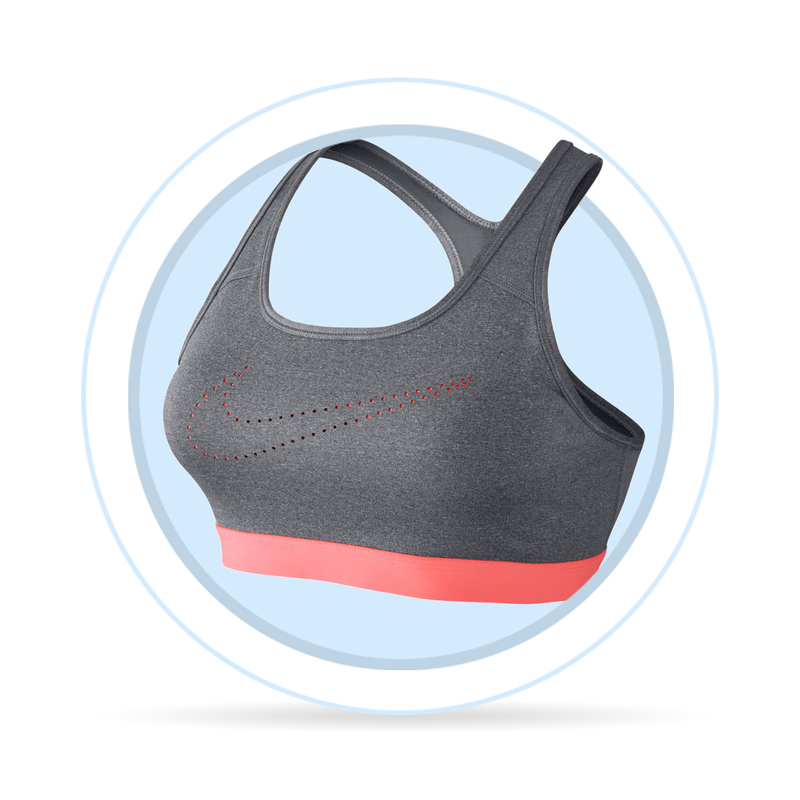 Sports bras are mostly made of a synthetic materials such a polyester, nylon and elastane. 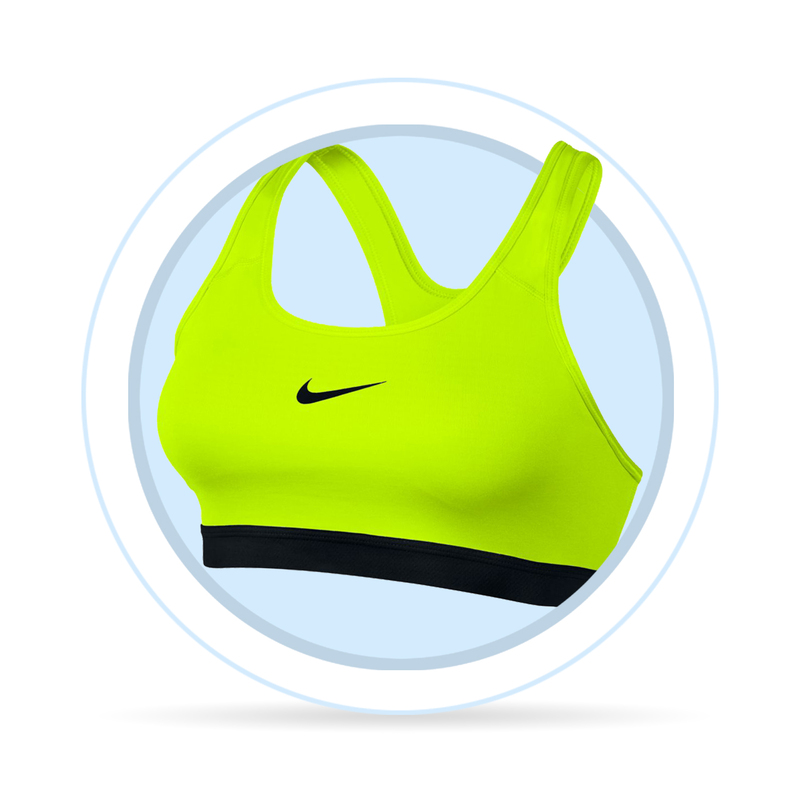 Polyester fibre is one of the most common materials used in sports apparel including sports bras. It is a chemical fibre which excellently maintains its shape, is low maintenance and has and low sorption, which prevents moisture absorption and helps transferring sweat from the body. Some environmentally-friendly brands use recycled polyester, which is a reusable material made mostly from plastic bottles. Synthetic nylon is very resistant, does not lose its colours and does not crease. It is flammable and retains static electricity. Like polyester, nylon does not absorb moisture, which makes it suitable for sports apparel. Elastane is another type of synthetic fibres with high elasticity. This material is able to stretch up to 7 times its original length. It is firmer and more resistant than rubber fibres. Compound with elastane fibres have high elasticity, do not crease and are able to maintain their shape. In the U.S., elastane is known as Spandex. Lycra is the most famous trade name for elastane, which is however produced in many countries under different names, such as Dorlastan, Elaspan, Linel etc.